Tinson Training was formed at the beginning of 2008. Brian Tinson, Managing Director created it to provide high quality, bespoke training in the area of Electrical Engineering for UK businesses. Since that time Tinson Training has built a strong reputation for training that is both useful and enjoyed by the attendees. With an increasing client base (see samples of previous clients) Tinson Training is enjoying a high proportion of repeat business and has recently added plumbing courses to its portfolio. Tinson Training has many years of experience in delivering electrical training and would love to discuss your needs – which can now extend to areas of plumbing fixes as well. Whether it be development of skills to increase flexibility of your staff or maybe fulfill a need for certification of competence for health and safety requirements. We can provide what you need where you need it from Newcastle to Newquay, Aberdeen to Ashford, Aberystwyth to Lowestoft – indeed wherever you may be sited in the UK. 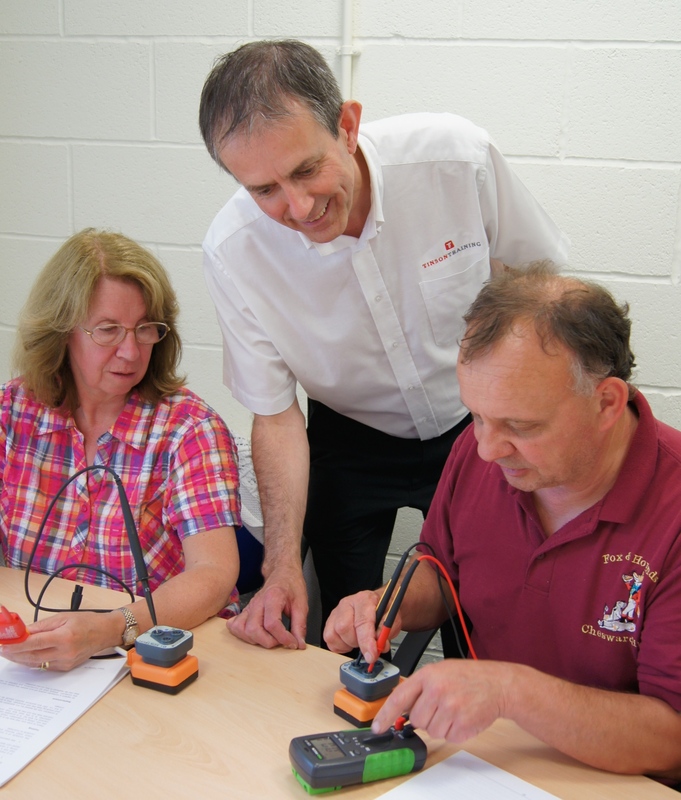 Our Electrical Short Courses and plumbing basics courses can be anything from a few hours to several days. Our aim is to provide training that is wholly relevant and designed to achieve the outcomes that you want. We will listen to your requirements and design a course that suits you. Any people who may have to service, test, install, manufacture, design, inspect, assess, modify or repair electrical equipment and systems or maintain plumbing will derive great benefit from our short courses. We will deliver training for audiences from individuals to larger groups. Combining exceptional training skills with a vast experience of training in Electrical Engineering, now allied with the skills and expertise of professional plumbing trainers who share the Tinson Training ethos, we can guarantee results that will make a real difference to the skills, knowledge and confidence of those who attend. Tinson Training is based in the West Midlands and is therefore ideally placed to reach locations throughout the UK. Brian Tinson has many years of experience in delivering training and learning experiences to learners of all ages. For the last seventeen years he has worked with many business throughout the country designing and delivering training programmes to meet the needs of the business. As a qualified Electrical Engineer, serving his time with Marconi Radar Systems, Brian has amassed experience in a whole range of Manufacturing, Food Production and Engineering companies. Brian’s training and coaching techniques are unique and empowering.. He has the philosophy that ‘if you attend a training session then you must go away doing something different’. All our trainers are experienced electrical engineers with many years of experience. They are all qualified teachers so they now how to create learning experiences that are not only effective but also enjoyable. We have worked with many UK businesses and believe we have a good feel for what they need. We will always treat our attendees with respect and you can trust us to deliver an effective training course. Our Bookings Manager, Jane, will help you find the right course and book that course to meet your schedule.